Ever dreamt of unlimited business class travel to the Big Apple? Well, La Compagnie, the exclusively business-class boutique airline with routes between New York and Paris and New York and London, has just the thing for you. The luxury carrier has an extraordinary offer for dedicated customers: L’Unlimited by La Compagnie. 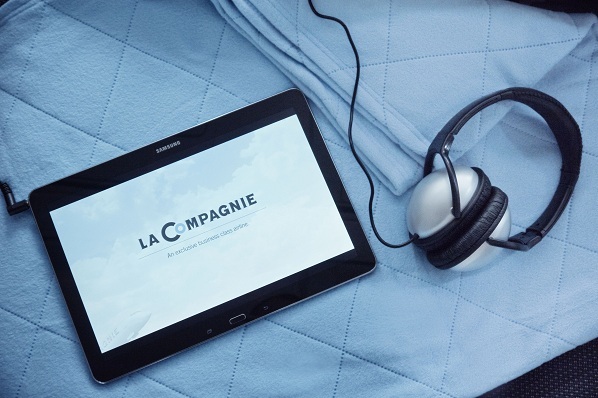 Available in a limited edition of just ten passes, each L’Unlimited by La Compagnie pass will give its purchaser unlimited travel on La Compagnie across the Atlantic for one full year from first booking. Act fast: L’Unlimited by La Compagnie offer will be available for purchase on a first-come, first-served basis for a limited time only, from July 18th-23rd. The first-of-its-kind L’Unlimited by La Compagnie offer comes as La Compagnie celebrates its second anniversary. It will be available for purchase in the United States, Europe and United Kingdom for £25,000. As ever, there are some considerations and restrictions. The purchase must be made in one single instalment, ruling out all but the super wealthy, while the offer is non-transferable and non-refundable. Tickets will be valid 12 months from first date of travel. However, travellers can make modifications and cancellations at no charge, up to three hours before flight departure. Launched July 2014, La Compagnie is an exclusively business-class airline offering regularly scheduled transatlantic flights between Paris (Charles de Gaulle) and London (Luton) to New York (Newark International Airport). An entrepreneurial initiative offering very competitive fares, the airline was created in October 2013 by L’Avion Founder Frantz Yvelin with assistance from Former Swissair and JetAirways chief operating officer Peter Luethi.